Vic Tanner Davy is a writer of historical fiction. Born in London, Vic now lives in the Channel Islands. Vic has been a writer and amateur historian for decades, with a special interest in British history between the wars, and the German occupation of the Channel Islands (1940-1945). 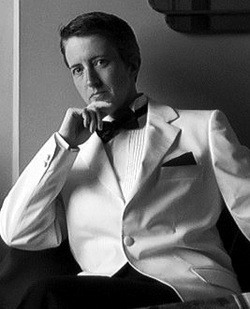 Vic’s writing also examines issues of gender, an area in which Vic is interested, being transgendered. Vic has an M.B.A. from the University of Durham and is a member of the Institute of Fundraising. Arty Shaw, a genealogist working on a peculiarly British island in the English Channel, is asked by a television company to research Helen Valentine's family tree. The award-winning British actress wants to know the truth about her grandmother's wartime exploits and Arty is her choice to do the digging; which is just fine by Arty. When a beautiful blonde like Helen Valentine asks, you don't say no.